Autostereograms are two-dimensional (2D) images with repeating patterns that hide an underlying three-dimensional (3D) image. A picture within a picture, so to speak. They are not the same as stereograms. Stereograms require the use of a stereoscope for the 3D image to be seen. Autostereograms, on the other hand, do not require a stereoscope. The hidden 3D image can be seen with just the naked eye, provided that the correct vergence is achieved. 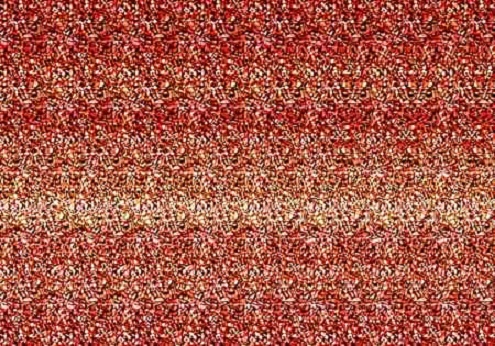 When you look at an autostereogram, your brain initially sees repeating 2D patterns from both eyes. This is because your brain automatically focuses on the image itself. When you are able to focus your eyes behind the 2D pattern, your eyes start to look at the pattern at a slightly different angle. At this point, your stereopsis kicks in and your brain is able to construct the 3D image at a depth different to that of the 2D pattern. Stereograms were first discovered by Charles Wheatstone. In 1838, he combined mirrors and lenses to create the first stereoscope. The stereoscope allowed a single 3D image to be seen from two slightly different and disparate 2D images. 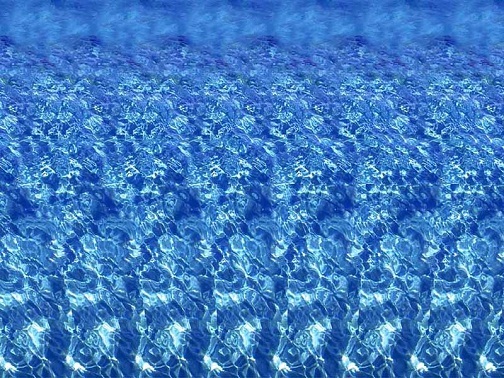 The autostereogram was first conceived by Christopher Tyler in the 1970s. Using computers, he was able to combine the different visual theories to generate the first random dot stereogram that allowed the brain to perceive 3D from a single 2D image without any optical help. In the 90s, there was a huge surge in the popularity of 3D autostereograms. This craze was sparked by Magic Eye 3D pictures published in the United States. Magic Eye books have now sold more than 25 million copies worldwide and have been released in over 20 languages. There are 2 viewing methods: the parallel (also known as wall-eyed or wide-eyed) and the cross-eyed viewing methods. 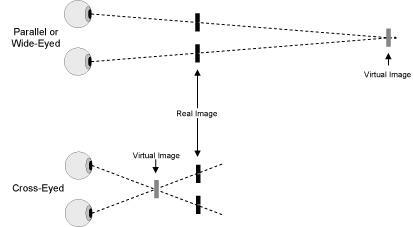 Most 3D images are constructed to be seen with the parallel viewing method. With the parallel viewing method, you have to focus your eyes somewhere behind the 2D pattern. With the cross-eyed viewing method, you have to converge ('cross') your eyes to focus in front of the 2D pattern. Diagram demonstrating the 2 different viewing techniques. With the parallel viewing technique, the virtual image is behind the real image. In other words, you need to focus your eyes behind the 2D pattern. With cross-eyed viewing technique, you need to cross your eyes to be able to see the virtual image in front of the 2D pattern. 1. 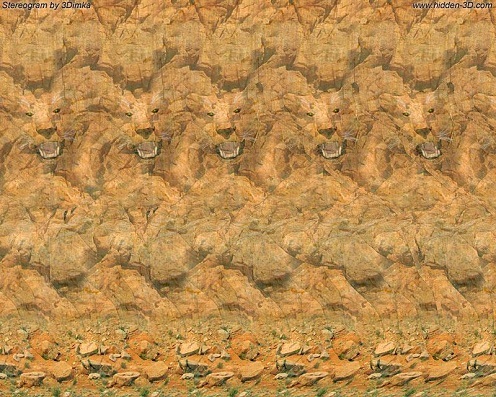 Concentrate at a point in the middle of the 2D picture. Try not to get distracted by looking around the picture. 2. Let your eyes relax and look through the picture rather than at it. You want to look at a point behind the picture. You will notice that the picture will go slightly out of focus. This is normal, and in fact, this is what you want to happen. For beginners, a useful way to start would be to look at pictures that have been framed. You can then learn to look beyond the picture by using your reflection as a guide. 3. Once you notice the 3D image, it gets easier. Try to resist the temptation to refocus onto the 2D picture– you will lose the 3D picture if you do so. 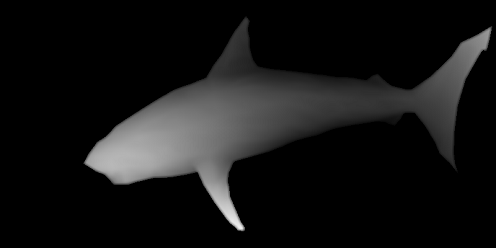 Most of the time, if you are not able to see the 3D image, it is because you are not used to the viewing technique. However, you need to have both eyes in good working condition. You are unlikely to be able to see the 3D pictures if you have poor visual function in one eye (such as in age-related macular degeneration) or if you do not have stereopsis (such as in amblyopia). CHALLENGE YOUR EYES - CAN YOU SEE THESE 3D IMAGES? Below are some examples of autostereograms, all adapted from the internet. For better viewing, you may wish to enlarge the image on your screen (you can do so by pressing CTRL and + simutaneously). Scroll all the way down to find out just exactly what you are trying to see! Think you've seen the 3D images that you were supposed to see? Well, these are the images that you should have seen. If you didn't manage it the first time round, don't despair. Take a break, relax your eyes, and then try again!